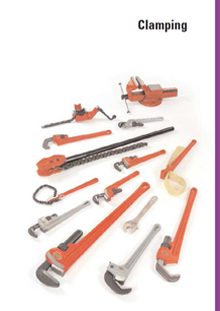 RIDGID®, the world's leading manufacturer of pipe working tools, produces today millions of pipe wrenches with types and sizes to fit every application. All current RIDGID® wrenches are based on the same timeless design as the original RIDGID® Heavy-Duty wrench dating from 1923. Often copied, but has never been improved upon. RIDGID® leads the way.